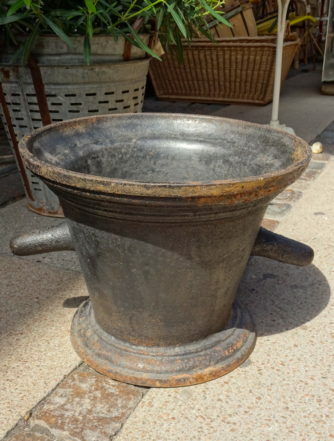 By using antique garden pots, you are adding a beautiful and rustic French touch to your outdoor space. 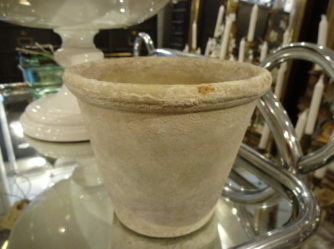 We have personally selected and brought home an exclusive variety of vintage and pre-loved garden pots from France. 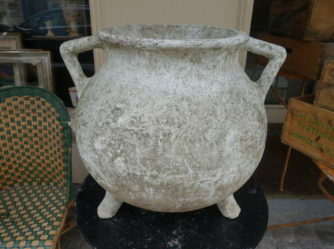 Ranging from stunning vintage jardiniere, to lovely weathered pots that once adorned gardens and parks of France. 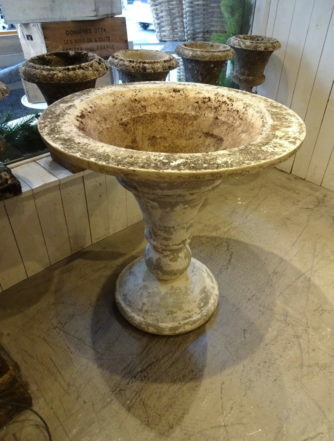 Fil de Fer has a huge selection of antique garden pots. 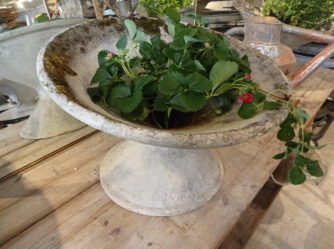 Each one has been hand picked and brought home from our beloved France, and all have that gorgeous genuine weathered patina, to add a rustic authenticity and expression to your garden. 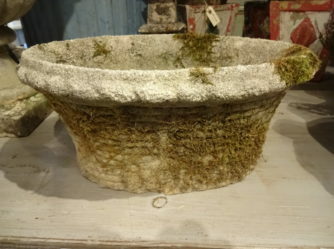 We provide a choice of garden pots, baskets and jardinieres, so rest assured that you will find just that addition of ornamentation you are looking for. 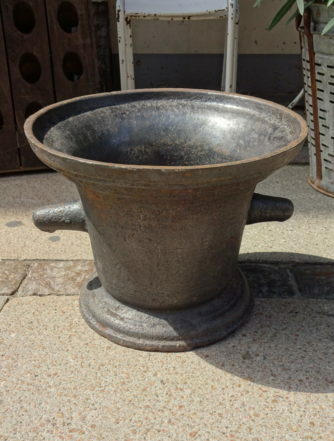 Our garden pot range is very broad, from iron French urns to wonderful handmade melon pots. 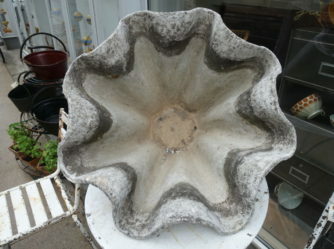 We have vintage flower baskets to hang by your front door, or huge pots for any corner of your patio or garden. 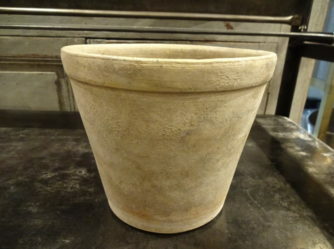 We also have a lovely selection of lovely planters feet, which lift the pots up from the ground. 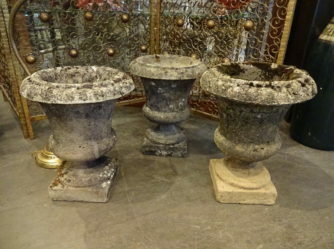 Whether you delight in the simple or the ornate, each of the garden pots we have brought home have history. 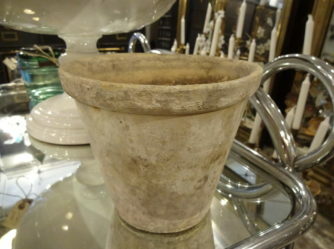 No wonder we’re potty about pots! 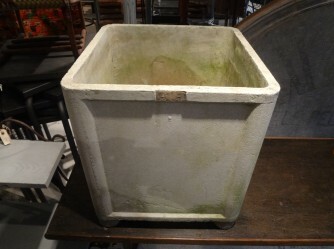 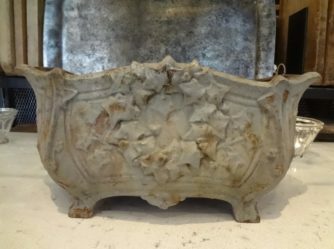 With their patina and soulfulness, our French planters are beautiful in themselves. 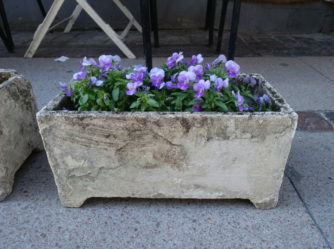 But they are a little lonely without flowers. 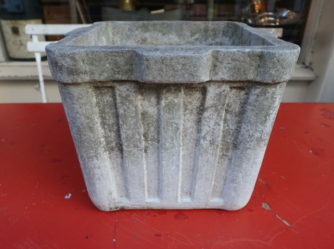 No matter the size of your French garden pot, filling them with daisies, herbs, or even a vine or olive tree, are the icing on the cake. 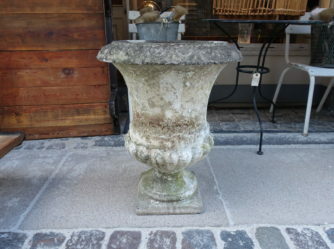 Your outdoor space gets a romantic or provincial look, and a wonderful perfume too! 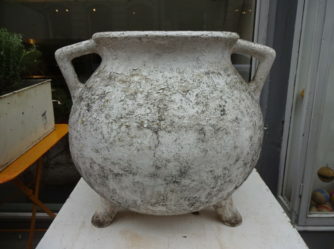 A part of the charm of our pots, is that there are no two which match. 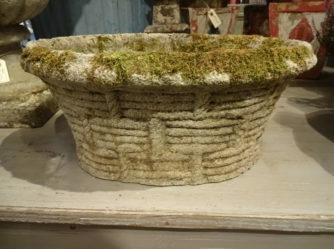 But by combining old pots, baskets and jardinieres together, whether ceramic, iron, wicker or wicker, a wonderful dimension is created. 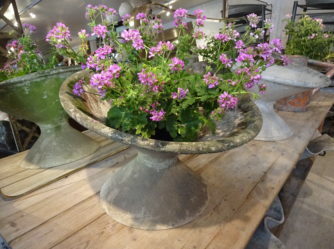 A large planter and small iron basket by your front door are so complimentary in their contrasting styles and shades. 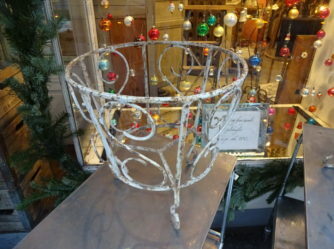 A unique and charming decoration. 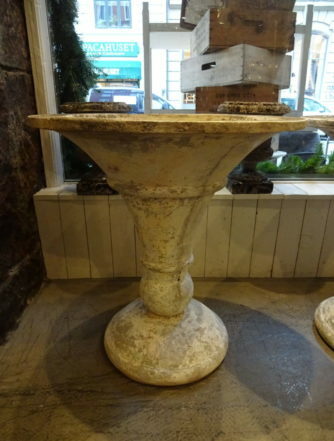 Just start matching!